London, Colling Galleries, London Artists' Association, Recent Paintings and Drawings by William Roberts, 1931, catalogue untraced. The sitter appears to be Roberts' wife, Sarah. Both she and their son John were enthusiastic guitar players and would attend festivals in Spain. 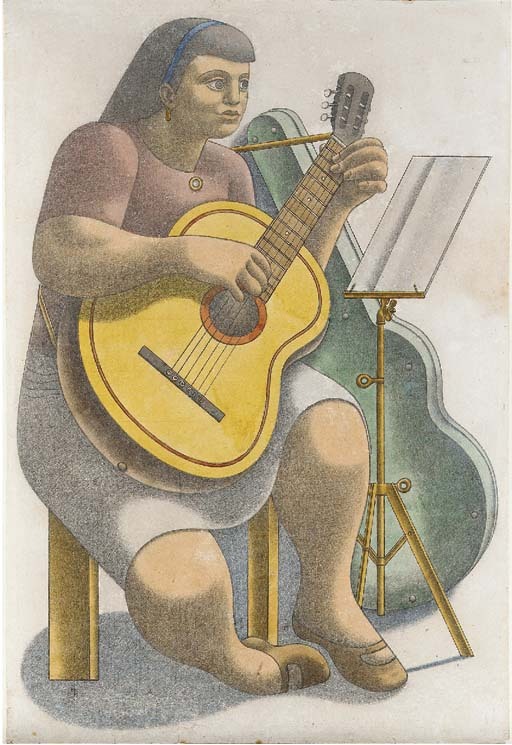 The subject of a figure playing the guitar was one to which Roberts returned on a number of occasions. One such drawing, exhibited at the Royal Academy, Paintings and Drawings by William Roberts, R.A., 1975, no. 3, shows a girl receiving a guitar lesson.